So as you know, I am from Norway. We are not known for being the warmest people in the world. I think Norwegian people are friendly and welcoming (and I have also heard that from foreigners visiting) however we are a little reserved at first. Some would even say cold, but that sounds horrible, so I’ll go with reserved. We are all about our private space you see. He have this invisible little circle around us, I would say a comfortable one goes about 40-50 cm outwards, where we are not sure we want you to enter. Not until we know you a little better. When we are comfortable around you and know who you are, or even we have just met you oncebefore but have a feel of who you are, you are free to enter as much as you want. Hugs, touching- whatever works. But normally not the first time we meet you. When we meet someone for the first time, let’s say we are introduced to someone, the normal thing is… to give them our hand. 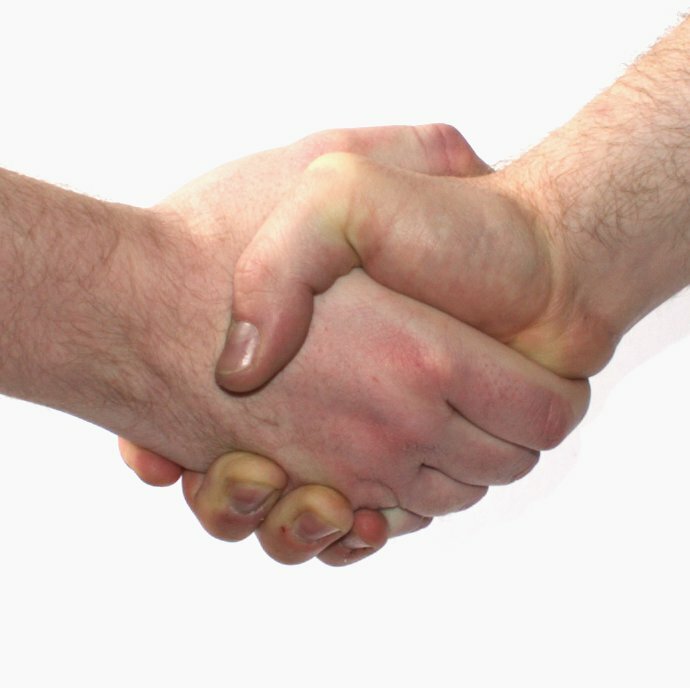 A good firm hand-shake is the proper way to introduce yourself to someone you don’t know in Norway. This is our way of showing respect while it might be interpreted as being distant and cold. Since we like to take things slow, we autimatically do the same to others, aka the hand-shake. We might also, just say hi and wave a little. So how does it work in Spain? Forget about the hand. That’s RUDE. Don’t ever give your hand when you meet someone socially for the first time in Spain! Nope, here you have to step right into that personal circle I talked about, put your cheek on the other persons cheek, give them a kiss (in the air or on the cheek) and repeat the action on the other side of the head. It seems woman and woman should greet like this. Also men and woman. With men and men however it's a little more diffuse; unless they are really close they put one hand on the shoulder of the other guy and shake the other hand while almost hugging. A sort of mix between a handshake and a hug. ...and I was just leaving, and it was at a flat-viewing and I would never talk to her nor see her again!!! Do you see my point? But I must say it’s fun too. I think it’s so eye-opening and interesting to learn another country’s culture. It makes you learn and realize that just because you have been doing things a certain way your whole life it doesn’t mean it’s the correct way for the rest of the world. It makes me feel humble and curious to learn more, and the feeling of being attacked ceased quickly when I realized it was the most natural thing to do. Haha! Everyone does it... So, while it doesn't bother me, I still have to get used to this, cause it just dosen't come naturally for me to kiss people on the cheeks the first time I meet them! Ah, and when the greeting is over…don’t get too comfortable, cause when you say goodbye you have to repeat the process again! …and while googling for pictures to use for this post I actually found a YouTube-video explaining cheek-kissing!! Ohoi! Det hadde jeg ikke vært komfortabel med! Et enkelt håndtrykk er veldig greit. Men så liker vi jo å klemme og sånt når vi blir bedre kjent, som du skriver! Vanisha, now that song is on my mind too! Thanks for sharing Fiji-ways! Would women kiss the first time they meet/are introduced? We are all about hugging friends when we meet, but normally not when introduced. I'd say around here it's mostly hand shaking. There's also hugging, it kind of depends on the situation I suppose. Australians do a lot of cheek kissing too and it always makes me a bit uncomfortable at first! Krysten, up in Norway we hug a lot, just normally not the first time we meet. And we never kiss cheeks! And Deidre, I understand you haha! Cheek-kissing (more 'head-banging', as it`s a cheek contact with a kiss thrown to the air) is a... well, a 'girlie' thing.